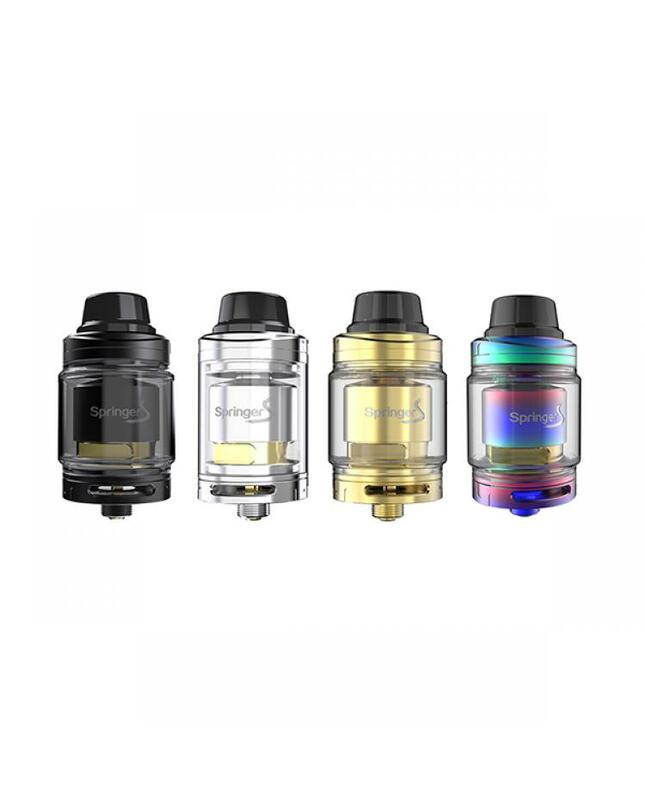 Newest tigertek RTA tank springer S, made of high quality stainless steel and pyrex glass, four fashionable colors available, the new tigertek RTA can hold 2ml e juice, which fit for TPD compliance, and comes with a 3.5ml extra glass tank, all parts detachable, easy to clean and maintain. the spring S tank with screwless coil building system, get rid of the screwdriver, press the post down and install the coils.it supports single coil only. bottom airflow adjustable design, direct to the coil for better flavor.